You generally hear about the statute of limitations on television legal and crime dramas. Inevitably, the perpetrator gets away with something because the prosecutor waited too long to file charges. While it usually works out on television, it doesn't always in real life. The following is a rundown of the statute of limitations and how it applies to motorcycle accident cases. The easiest way to conceptualize statute of limitations for an accident is to envision a loaf of bread on a grocer’s shelf. That bread can only sit there for so long before it reaches its sell by date. After that, it might be sold, but only under particular circumstances. When that loaf of bread had reached the point that it can no longer be sold, it is said to have reached its shelf life. Essentially, that is what the statute of limitations is. It places restrictions for legal, civil, and criminal charges or lawsuits to be levied in terms of the time passed between the action prompting the charge or suit and when it is filed. A person in a motorcycle accident, for instance, does not have the rest of their natural life to file a lawsuit. After the restriction has run its course, no matter who is at fault, the victim can no longer file a claim or a lawsuit. The principal reason for the statute of limitations is to ensure timely processing of a fault rendering in an accident. Even if the other party is completely at fault legally, the victim cannot sit on the lawsuit indefinitely as doing so ties up the other party unfairly. 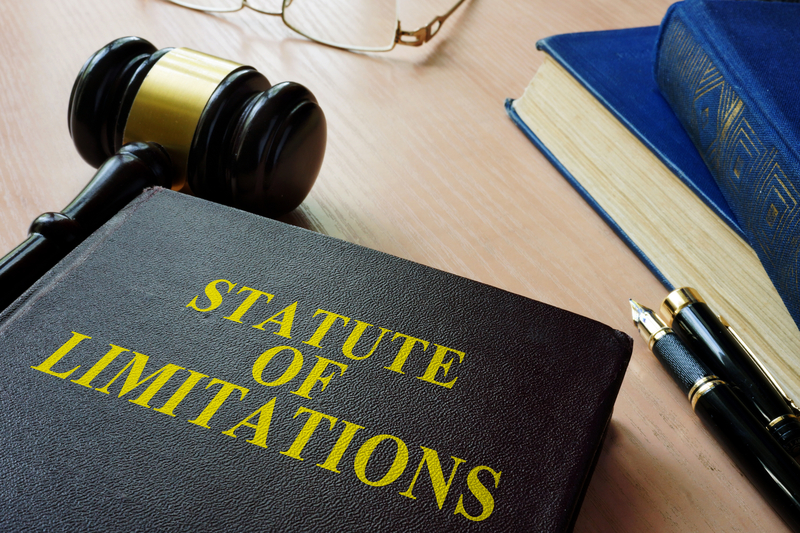 The other reason for a statute of limitations is to prohibit using it as a method of extortion; it keeps the victim from holding the threat of a lawsuit over the person at fault’s head. It varies from state to state and, if you are a victim of a motorcycle accident, you should check out your own state’s rules and laws pertaining to statute of limitations and their application. Generally speaking, however, without some evidence of willful deception on the part of the at-fault party, once the statute of limitations is up, no civil actions can be taken against that person. If that person tampered with evidence or withheld evidence, the scenario changes a bit, but again, that is usually determined on a state-by-state basis. When, however, a lawsuit is filed within the boundaries of the statute of limitations, the clock stops ticking on the statue. A person can be sued for damages if the victim files within the proper time frame, even if the court process exceeds the statute of limitations. That is important to know because sometimes a wait-and-see attitude is smarter than automatically filing suit. The statute of limitations is there to prompt appropriate legal action while preventing the accused from having to live in a state of perpetual anxiety whether a suit will be filed. If you are in an accident and are the victim, you should discuss your case and the time constraints put on your case as soon as you can. If you've been in a motorcycle accident, contact Steelhorse Law to see if your case is within the statute of limitations.